One of the real housing inventory shortages over the past few years has been in Manhattan Village. While there have been some townhomes for sale there have been almost no single family homes available. The last MLS sale for a single family home in Manhattan Village was in January of 2016 and the only sale in all of 2015 happened in April of that year. Manhattan Village is one of the only gated communities in the area and offers “court” homes (multiple townhome style units with nobody above or below), townhome units and single family estate homes. While there have been a healthy inventory of the townhomes, the single family homes are few and far between. There have been some new listings making an appearance on the real estate market in Manhattan Village making for one of the few neighborhoods in all of the Beach Cities with any inventory. As of this post there are 4 homes for sale in Manhattan Village, one of the few gated communities and a very unique setting in this up scale beach town. Contact us to arrange private showings for any of the homes. There may be no place like home for the holidays, but if you’re hoping to visit open houses in Manhattan Beach this weekend there won’t be too much to see. The open houses in the Beach Cities and South Bay are just as limited as things slow down for the holidays. Here’s the open houses in Manhattan Beach this weekend. 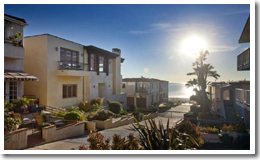 In the luxury real estate market of Manhattan Beach it isn’t overly common these days to find anything priced below $1,000,000. The obvious reason is the demand for homes in this coastal community has never been stronger. Another reason is that just about any “original” beach type bungalow that comes around is often snatched up by builders looking to flip or, more likely, to replace with a 4000 foot single family home. The third reason is that condos are almost non-existent with zoning allowing primarily single family homes with a scattering of townhomes mixed in which eliminates the entry level type condo. 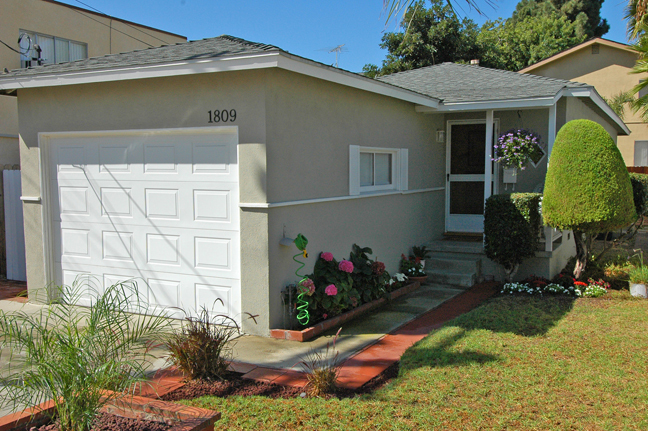 At the moment, however, there are 4 homes for sale priced below $1,000,000. If you’re interested in learning more or even taking a look please don’t hesitate to contact us. Please read below for important community news from the city of Manhattan Beach. Manhattan Beach, CA (December 3, 2014) – After almost nine years, extensive community input and thoughtful open discussion, the Manhattan Beach City Council approved, in a 3-2 vote, the Manhattan Village Mall Expansion Project at their December 2, 2014 Council meeting. The City Council approved an option which included approval of Phases 1 and 2, and deferred Phase 3 (Fry’s corner) for future public review and input. Phase 1, 50,000 square feet, is comprised of the Village Shops surrounding the California Pizza Kitchen building. One of the most common reasons people want to live in Manhattan Beach is the quality of the schools. One of the most frequent questions is what elementary school will a child attend depending on where they buy a home in Manhattan Beach. Manhattan Beach Unified School District has 5 elementary schools, one middle school and one high school (Mira Costa). See the map below to get a better sense of where the elementary schools are located and the boundaries of each. In general the hill section and south sand section neighborhoods attend Robinson Elementary, the north sand section and parts of the tree section attend Grand View, the eastern half of the tree section attends Pacific, the Manhattan Heights and Liberty Village areas (east of Sepulveda and north of MB Blvd) attend Meadows and the Mira Costa area of East Manhattan attend Pennekamp. All are fantastic schools with incredible test scores and parent participation is second to none.